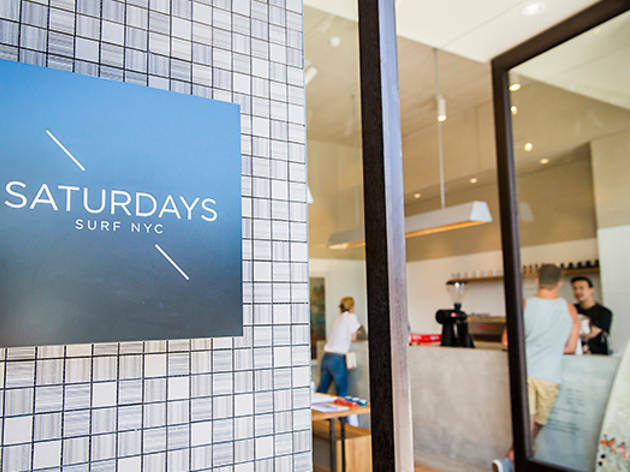 When the founders of Saturdays Surf NYC opened their first shop in New York people thought they were crazy. 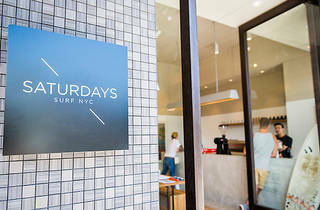 Surf leisure in the big apple? 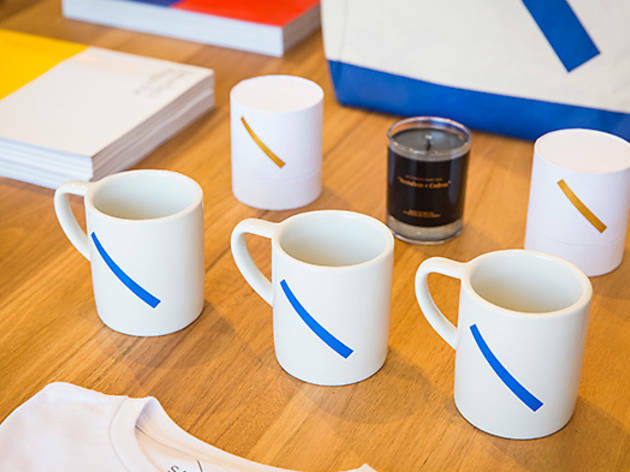 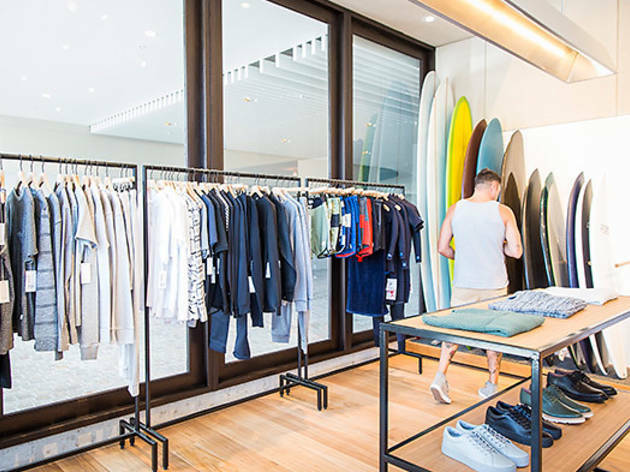 It didn’t seem a likely fit, but the sceptics were wrong and Saturdays grew to become a global brand with stores stretching from West Village to Osaka – and now Bondi. 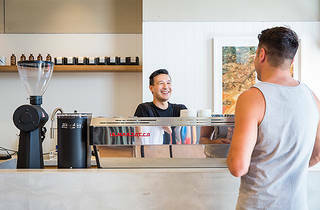 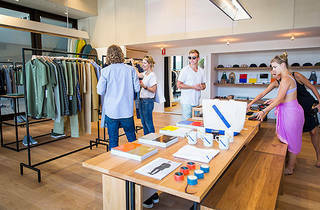 Co-founders Colin Tunstall, Josh Rosen and Morgan Collett have now opened their first Australian store in the Pacific Bondi Beach retail and residential complex, on the quieter end of Gould Street. 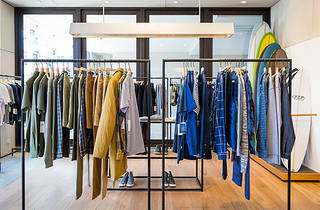 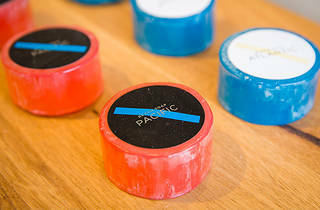 The store was designed by Akin Creative, who are responsible for the fit-outs of many fashion boutiques like Incu in the Galeries, the Corner Shop in the Strand Arcade and the A.P.C. 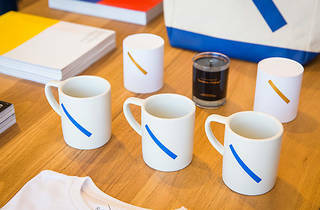 store in Surry Hills. 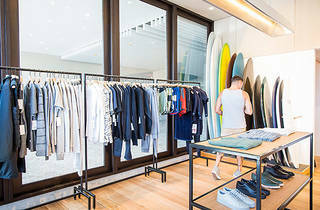 It’s the first Saturdays store that’s actually near a beach, and the huge floor-length glass doors that open up to the street give it a welcoming and informal feel that suits the style of the clothing and the location. 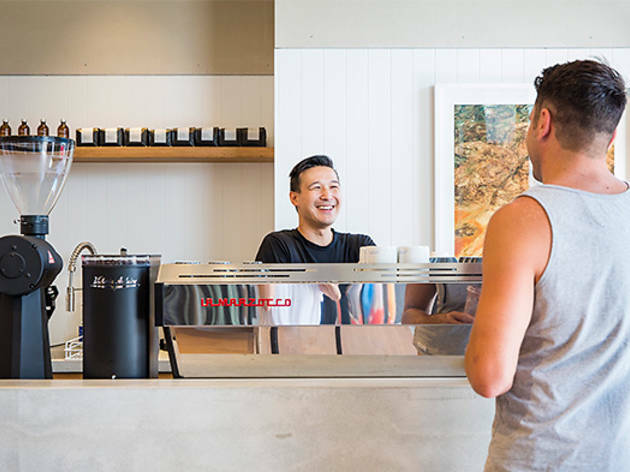 Inside is a coffee shop that opens via a window hatch from 7am, serving coffee by Artificer, including cute glass bottles of cold brew. 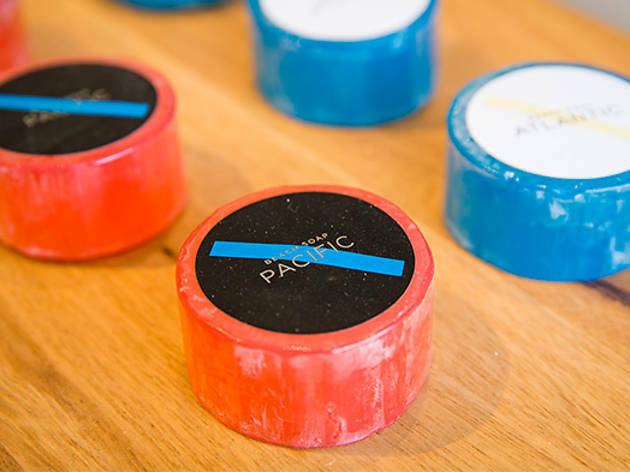 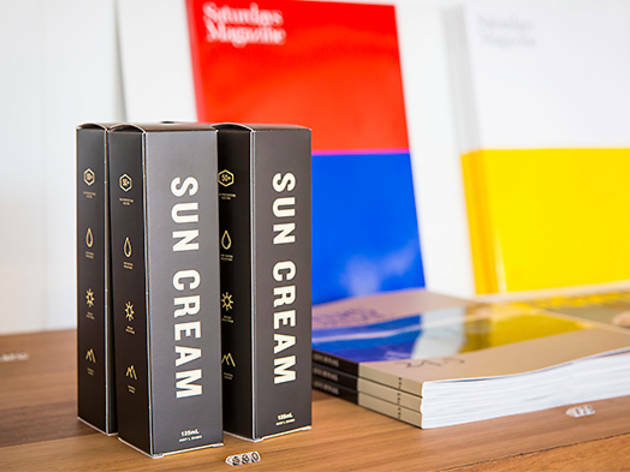 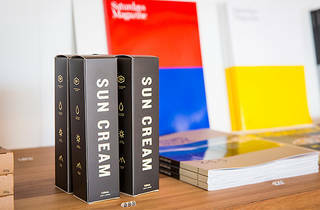 Copies of Saturdays magazine dating back to 2012 are stacked at the back of the store, alongside Australian hand surfs crafted from white beech wood, printed hats and grooming products from Baxter of California. 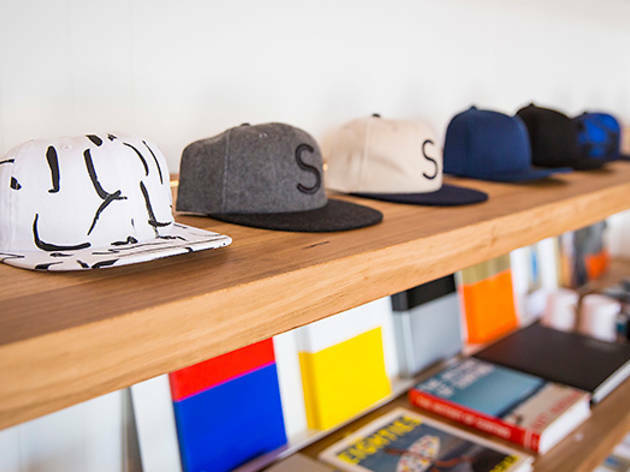 Tonally, the whole store is going through an olive green, navy blue and misty grey phase, from beanies to leather belts and cotton shirts. 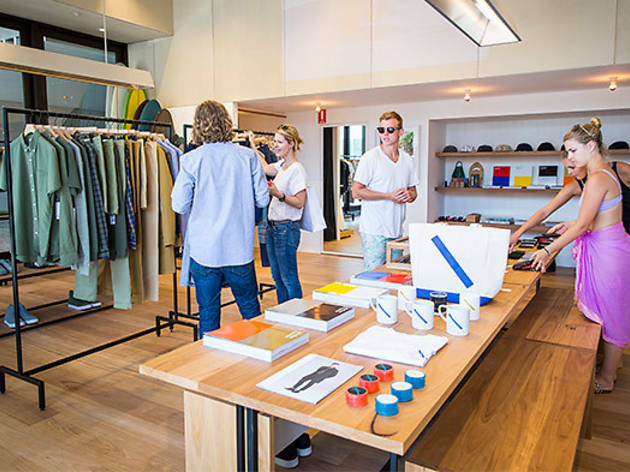 They’ve got long boards for sale in the back corner of the store and wetsuits from Patagonia, but the real reason you’d come here is for the brand’s dressed-down but looking-smart style. 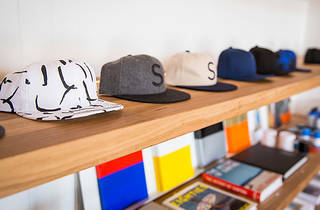 You’ll find their signature sweatshirts for $140, board shorts for $110 and a plaid cotton shirt for $150. 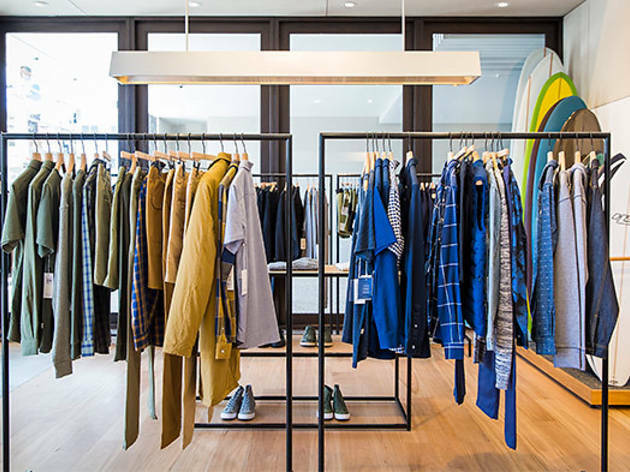 Take a moment to admire the selection of luggage from Tokyo brand Porter by Yoshida & Co. They’re understated, practical and a very stylish way to lug around a wet pair of swimmers or sweaty gym gear.